Inspired by the preciousness of human life, this stretchable mala bracelet features Black Onyx beads, silver-plated ornaments and twin Hematite skulls. Selected beads have been blessed by the Dharma Protector of Kechara during trance in the monastery, bestowing protection from harm and negative energies. Drawing inspiration from the teachings on the preciousness of human life, this contemporary mala bracelet is handmade from Black Onyx beads, silver-plated ornaments and twin Hematite skull charms. Selected beads have been blessed by the Dharma Protector of Kechara during trance in the monastery. As trances are very rare even in the monasteries, so are items blessed by the Protector. Black Onyx is primarily associated with the Root Chakra and is valued for its protective and stabilising qualities through life's challenges. 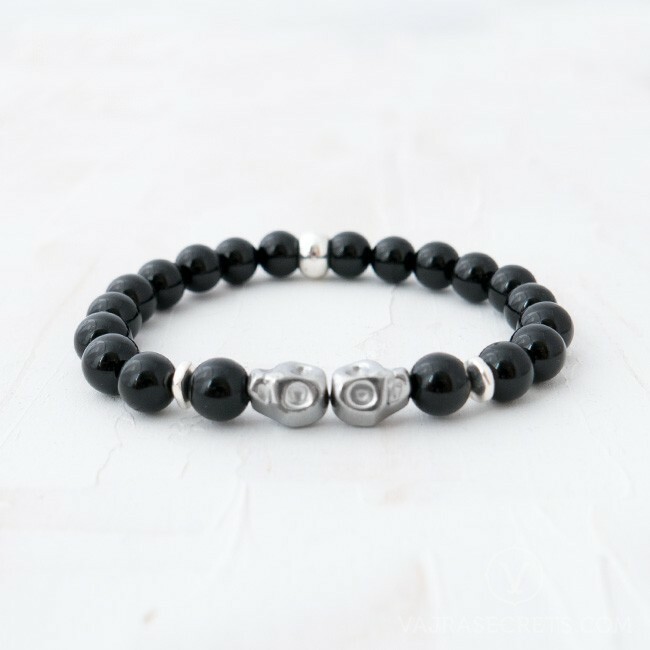 Hematite, known for its grounding and protective qualities, is excellent for absorbing negative energies and transforming them into positive vibes. This calming stone is associated with the Base Chakra and promotes spiritual healing and balance. 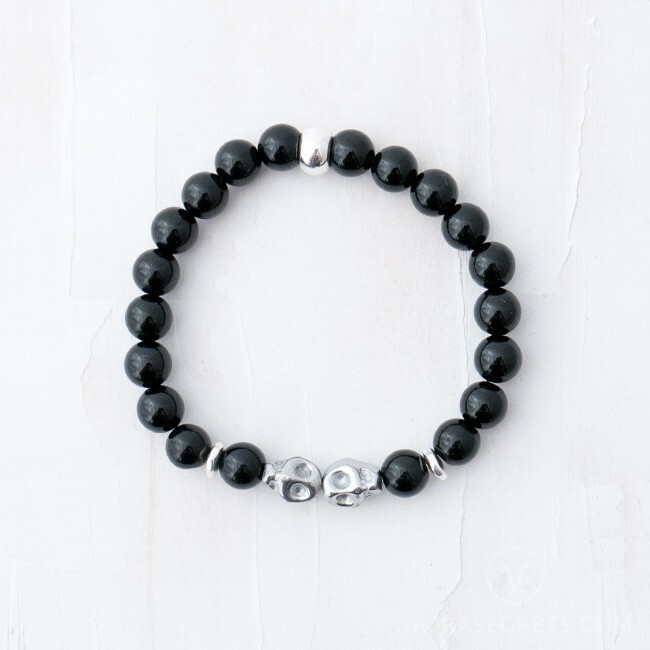 Also known as a "stone for the mind", Hematite stimulates concentration and focus, enhancing memory and insight. Skulls serve as a reminder of one's precious human rebirth and to live life meaningfully through virtuous deeds.